Polydor celebrated the release with fans at an album launch party at London’s Cuckoo Club earlier this week. Attendees at the candy-filled party got to hang out with Demi, be the first to hear tracks from the album and take part in a Q&A. There were more exclusive initiatives for UK fans, including a limited edition CD which sports a UK-only cover and includes a Demi-written postcard. 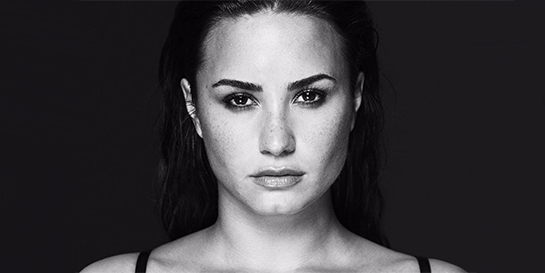 Demi promoted the party heavily on social media, particularly Instagram, along with the pre-order link. The album follows three recent hits for Demi in the UK: its lead single Sorry Not Sorry peaked in the Top 10 and topped the trending chart, as well as holding a place in the Top 20 on iTunes and Spotify for over a month. She’s also had a global hit with her labelmates Jax Jones and Stefflon Don with Instruction, and collaborated with Cheat Codes on No Promises. After joining Nick Grimshaw on Radio 1 and making an appearance on the Jonathan Ross Show, Demi headed back to the US to take part in Vevo Live today, answering questions from fans around the world, as well as an intimate audience gathered at Vevo’s HQ. The broadcast will be used to premiere exclusive performance videos, with fans able to share their reactions through a dedicated chat box.